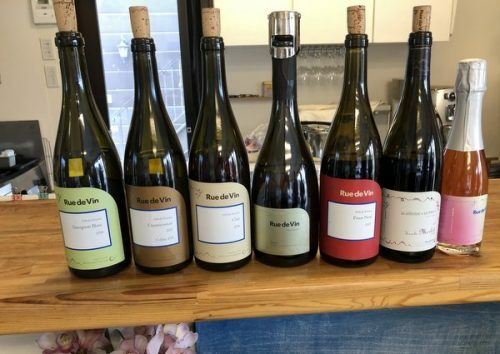 Hideaki Koyami is the man behind Rue de Vin. 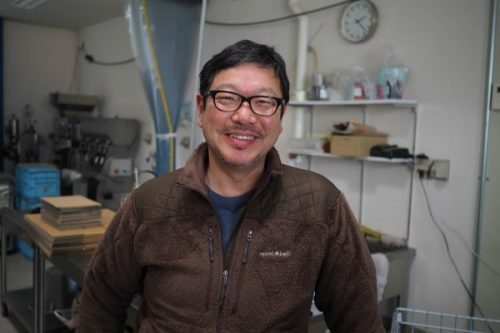 He began working in Yamanashi 20 years ago. Before that he was employed by an electric company. In 2006 he moved to Tomi, and initially he planted Chardonnay on abandoned land. His vineyard area has grown as he’s taken over new land that was once fruit trees but had gone wild. 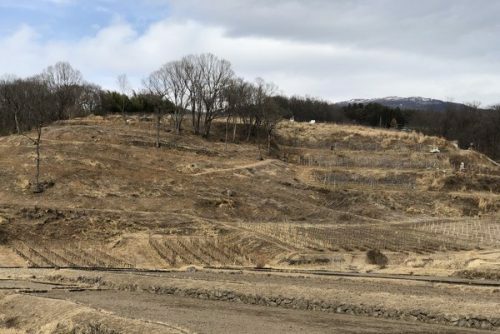 Hideaki’s current holdings are 6.5 hectares of vines ranging from 740-830 m, but there’s also some Cabernet Sauvignon at 540 m in a separate plot. The vineyards are divided into very small parcels. A wide range of varieties are planted including Chardonnay (40% of area), Sauvignon Blanc, Merlot, Cabernet Sauvignon, Pinot Noir and then bits of Gewurztraminer, Pnot Gris, Cabernet Franc and Gamay. The winery was built in 2010. Hideaki thinks that the variety with the most potential here is Sauvignon Blanc, and this will be the focus of his new plantings, as well as Cabernet Franc. He says that one of the important things for the future for Japanese wine is to reduce the labour inputs (most viticulture here is like gardening), and Sauvignon can help because this needs less spraying than some of the other varieties.